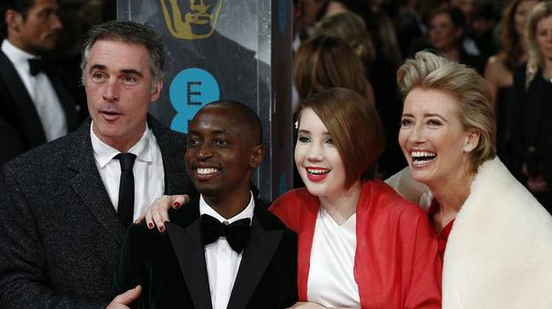 GREG Wise, the actor married to Emma Thompson, has announced that he and his wife will refuse to pay tax until those involved in the HSBC tax avoidance scandal go to prison. Wise spoke of his anger at HM Revenue and Customs (HMRC) and the bank after details of 100,000 accounts held by HSBC's Swiss arm revealed how the bank had helped some customers dodge taxes. "I have actively loved paying tax, because I am a profound f***ing socialist and I believe we are all in it together. But I am disgusted with the HMRC. I am disgusted with HSBC. And I'm not paying a penny more until those evil b*****ds got to prison," he told The Evening Standard. Speaking of the opinions of his Oscar-winning wife, he said: "Em's on board. She agrees. We're going to get a load of us together. A movement. They can't send everyone to prison. But we'll go to prison if necessary. I mean it, it's going to be like 1948 all over again." Wise, currently rehearsing for Kill Me Now, his first play in 17 years, criticised the Government's reaction to the flagrancy of HSBC's tax avoidance schemes. "They haven't even been slapped on the wrist because of this beautiful grey area between avoidance and evasion. It's iniquitous. We need to do something." HMRC has come under fire in the HSBC scandal because of its perceived failure to carry out a criminal investigation into the bank, which has its headquarters in London. The agency found more than 1,000 tax avoiders among almost 7,000 UK clients of HSBC Suisse and yet only one individual has been prosecuted. Wise said that it was the scale of these injustices that made him so angry. "I'm the least violent man you've ever met, but I will plough into fights in the street to stop someone being set upon," he said. "Days after I'm a mess because I hate violence. But I just cannot see injustice."